Any military endeavor deserves recognition and praise! Show your appreciation with the Personalized Military Memorial Plaque today! 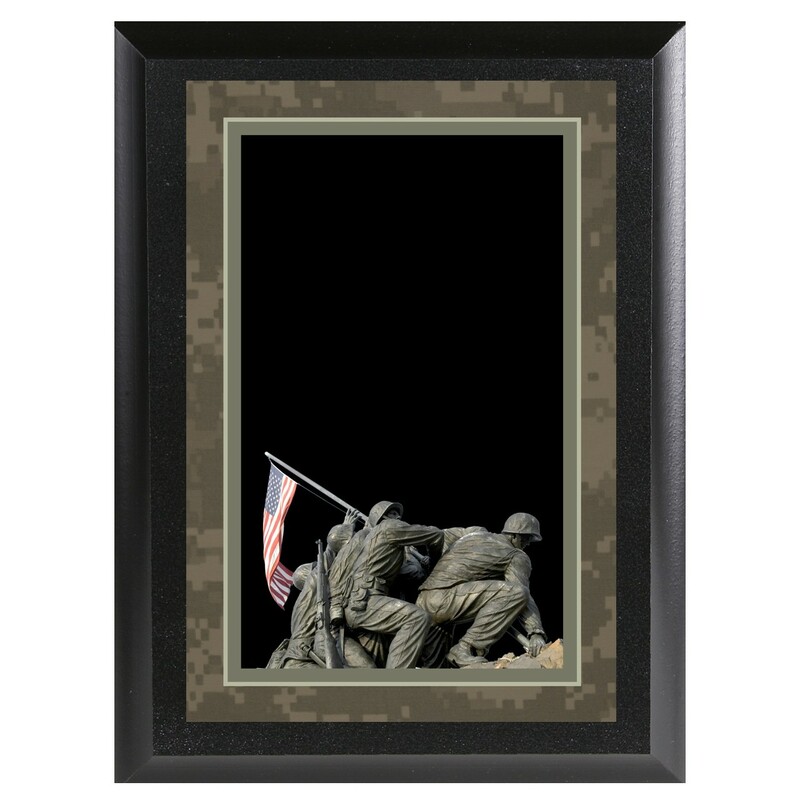 Featuring the historic Iwo Jima Memorial statue at the base of the engraving plate and a camouflage border, this military appreciation plaque is ready to highlight your personal message. Attached to a black beveled-edge plaque, this sturdy military recognition plaque is also available in 2 sizes!